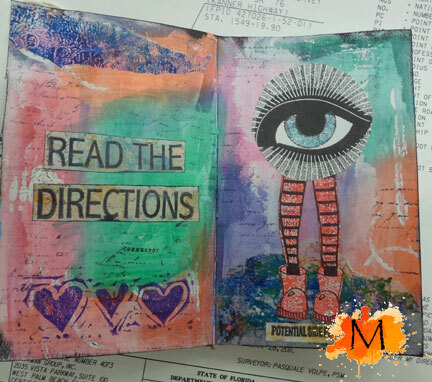 I have this little Canson Mix Media Journal and I usually use it to brayer left over paint or wipe my used paintbrush in it. I started working in it recently completing some of the pages. 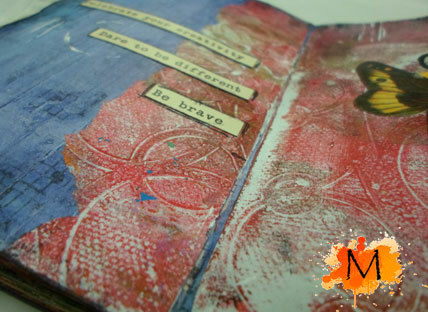 I used stamps from Dina Wakley, 7 Gypsies and Dylusions. 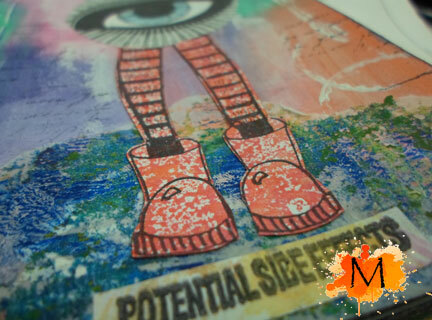 There is a little Gelli Print added to the top of the left page and the bottom of the right page. This is a brayer clean up page. 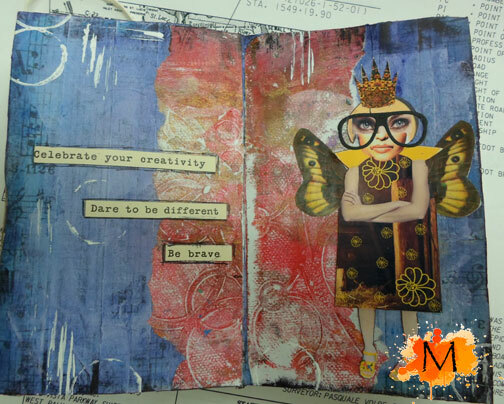 I think I may be addicted to the mini journal. . . . more pages to come! 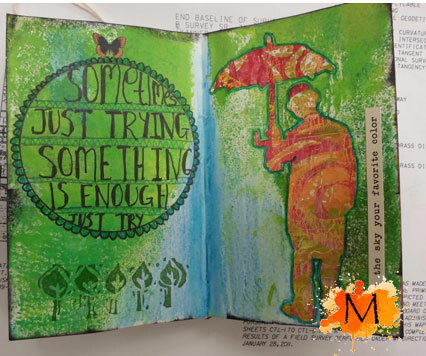 This entry was posted in Art Journaling, Gelli Plate Printing by Michelle. Bookmark the permalink.